Recollections received from generations past grow hazy as time moves a body farther away. My recollections are hazy enough. When I try to recall the things my grandmother told me over the course of our time together I realize how insubstantial those recollections are. Kathleen’s mother, Marie was a dreamy yet stubborn woman. Both my grandmother and great-grandmothers were Tauruses. Taurus gets the stubborn tag and rightfully so but that stubborness comes from their solidity. They are what they are and that’s why I like them. My son and my daughter are Tauruses. My sweet honey pie partner, Frank, is a Taurus. 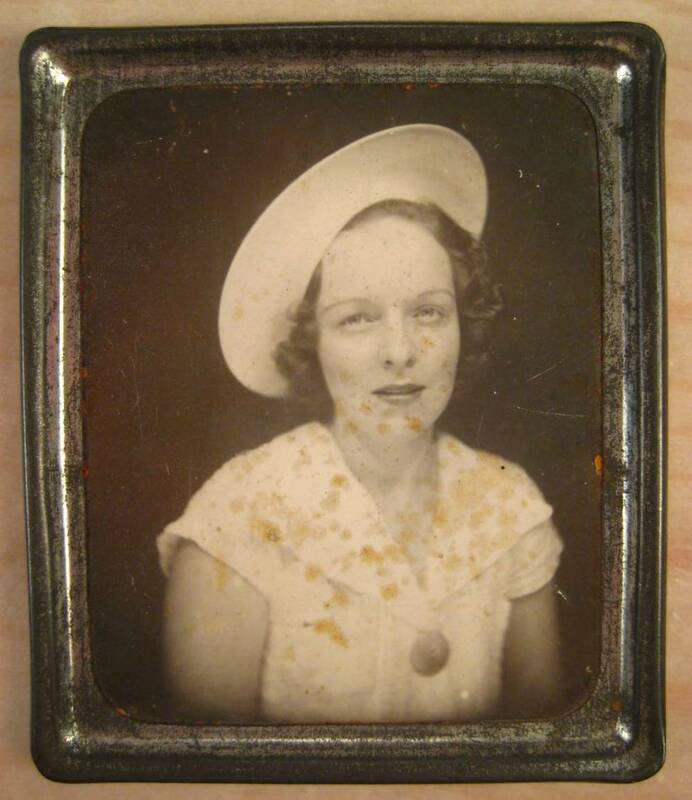 My great-grandmother, Kathleen’s mother Marie, for reasons unknown to my grandmother, left her, for prolonged periods, with her grandparents. She lived with us when I was a child and I loved her very much. I sensed she had lived a pretty rough life. She was stoic and spiritual but funny and down to earth, too. Taurus is an earth sign. Marie’s father was a baker. He owned a bakery in southern Illinois and wore a big white hat. He was Kathleen’s grandfather and sold six loaves of bread for a quarter. I’ve heard that a thousand times. Other oft repeated bakery lore has a very young Kathleen habitually crawling into the bakery’s candy case and making off with all the prizes from the Cracker Jack. Kathleen delights in that story but sadly, more than anything else, what sticks with her is that she was not wanted by her mother or her grandparents. She was a beautiful girl and she married and had babies early by today’s standards. She was 18. By the time she was 20 she had two kids. 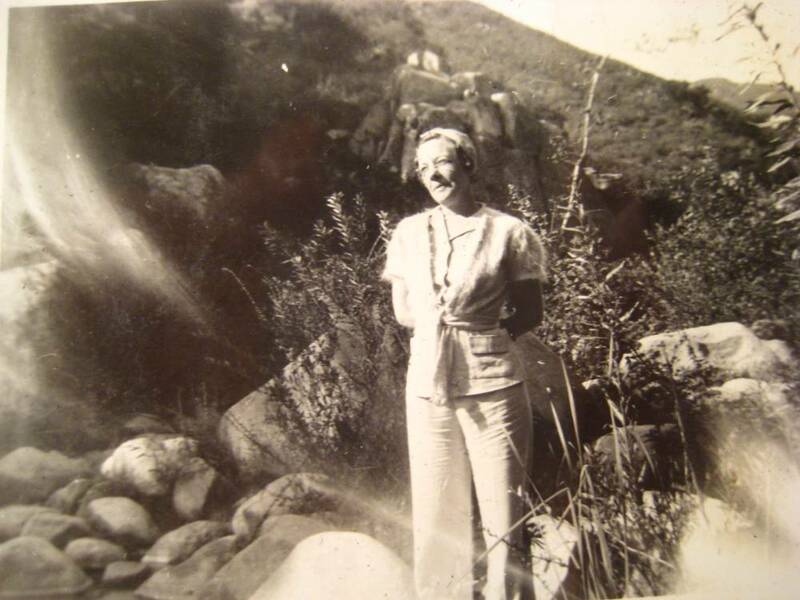 In the Dead of winter, 1934, she and my grandfather, Harry Mahoney, drove west from Illinois to California. This, I believe, is that car a few years later. 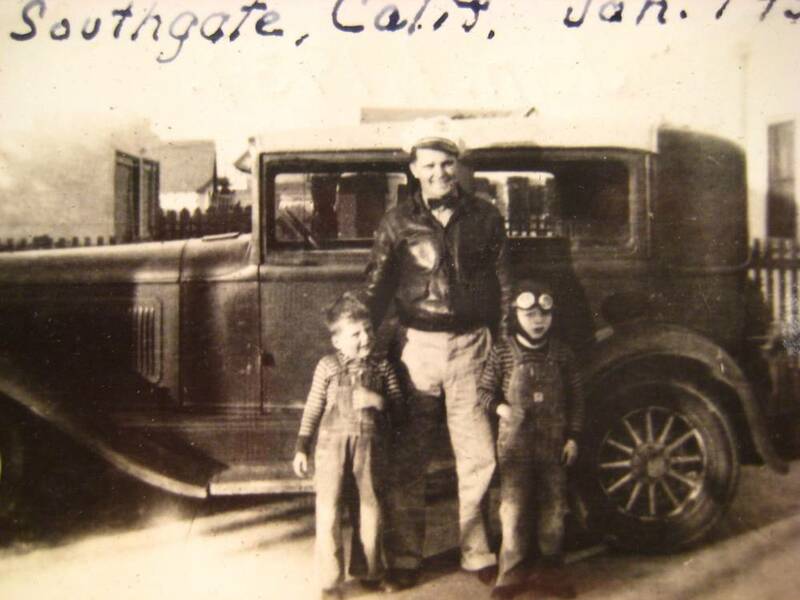 Harry is standing with my uncle Pat and my dad Jim, sporting the goggles. On the drive to southern California, land of sunshine and citrus, Kathleen had to get out on the running board of this old car and wipe the snow off the windshield so my grandpa could see the road. My grandparents lived in various suburbs of Los Angeles. For a while my grandfather delivered movie film reels to theaters. 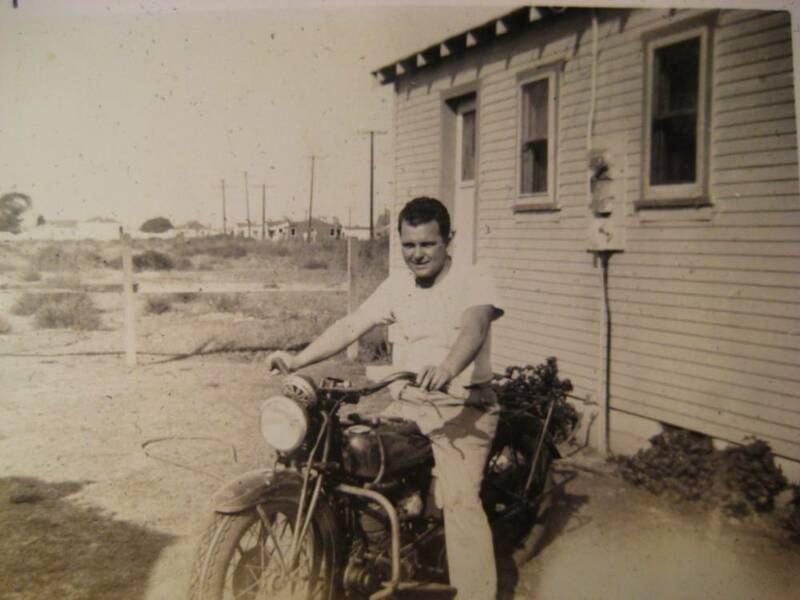 He rode this motorcycle to do so. This is south Los Angeles in the 30’s. Look at those dusty wide open spaces. It looks like some dried out farm community in dust bowl-era Oklahoma but with a lot less trees because it’s the desert. Today, this neighborhood and everything within a hundred miles in any direction is jammed with homes, strip malls and roads. My grandparents lived in South Gate, Lynwood and Compton where I was born. I am straight out of Compton, yo. Know what I’m saying?